BITSAT released its application form on January 4th, 2019. They have invited applicants and given them the deadline of March 20th, 2019. The application is to be filled online and students can click on this link – http://bitsadmission.com to get to the application process. The Hall Tickets for the same would be available between the dates 12th April and 13th May. The official notice for the examination dates is yet to be received but the tentative dates for BITSAT 2019 are somewhere in between May 16th and May 26th, 2019. The exam will be held in online mode. The slot booking will be open from March 28th and will be expected to remain open till April 8th. The exam would consist of four parts, one for the four major subjects each. Physics, Chemistry, English(English proficiency and logical reasoning) and Mathematics/biology would be present in the sections respectively. The detailed syllabus for the exam can be found in the annexure of the official document. 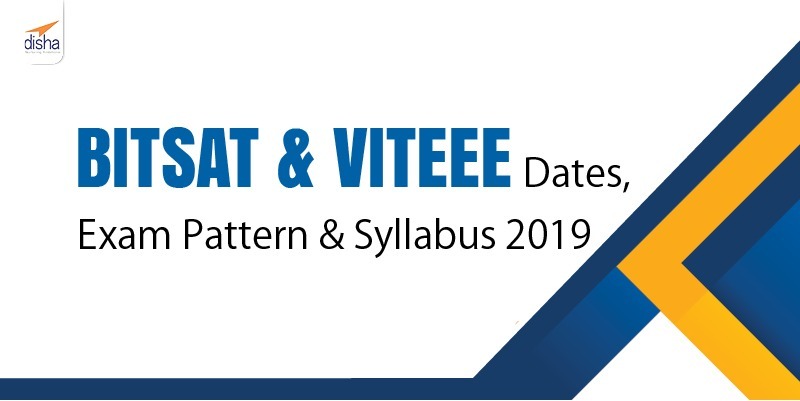 You can click this link BITSAT Syllabus for the detailed syllabus. It is given in the annexure section of the document. The exam pattern consists of four major subjects i.e. Physics, Chemistry, Mathematics or biology according to the stream of the student, and English. For the paper with Biology instead of maths the pattern remains the same, with 40 questions of maths being replaced with 40 questions of biology.